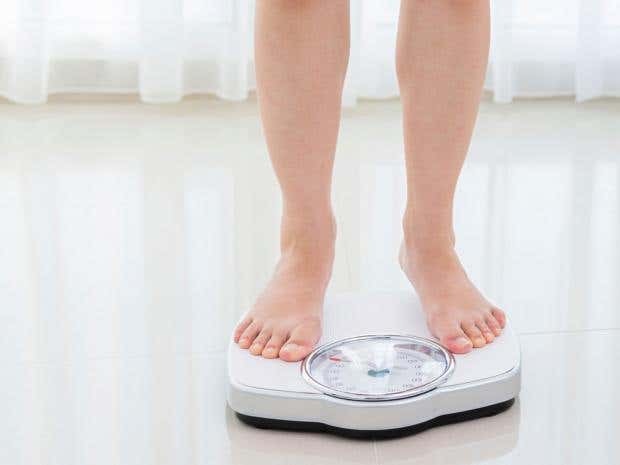 Anorexia nervosa, where a person restricts their food and exercises excessively, and bulimia, where a food is binged on and purged, are among the most commonly known disorders. However many people display symptoms present in more than one disorder, Mary George, a spokeswoman for eating disorder charity Beat told The Independent. She stressed that such conditions can be “just as serious” and can impact people’s lives, as well as those of their families, carers and communities. She added that a report published by Beat in 2015 found that nearly 50 per cent of those affected have binge eating disorder. Ms George highlighted that those who seek help early have a 33 per cent relapse rate compared with 63 per cent who sought help later. “A change in behaviour, withdrawing from social situations, avoiding mealtimes are all possible signs of the illnesses,” she said, urging anyone concerned that they have an eating disorder to seek help as soon as possible from their GP. Further information can be found on the Beat website. To mark Eating Disorder Awareness week, here are some lesser known eating disorders and conditions linked to obsession and body image. This condition is characterised by eating a large quantity of food over a short period of time on a regular basis. Those dealing with binge-eating disorder are known to buy foods especially for bingeing episodes, according to the NHS. In rare cases, those with the condition report losing control over what they eat and experiencing a state of confusion where they do not remember what they consumed. Feelings of guilt associated with over-eating and gorging in private to avoid embarrassment are also apparent. Such behaviour interferes with the body’s blood sugar regulation, leading to cravings. The form of body dysmophic disorder linked to anxiety is also known as “megarexia” or “bigorexia”. Mainly affecting men, it involves a person becoming fixated with becoming muscular, sculpting a lean physique, and striving for a particular shape. In a reverse of the symptoms of anorexia, those with the condition believe their bodies are small despite being large and muscular. Those with the condition spend an excessive amount of time weightlifting with the aim of building muscle, even when injured, and are overly pre-occupied with working out. They are also obsessed by food, and become fixated with special diets and supplements. Compulsively comparing physique with others and mood swings are also signs, according to the Body Dysmorphia Disorder Foundation. Not a medically recognised disorder, orthorexia has been gaining traction as “clean eating” and attending the gym have become more fashionable. Coined in 1997 by Dr Steven Bratman, the term describes an obsession with healthy eating and “disease disguised as virute”. Ms George of Beat told The Independent last year that such actions resemble obessive compulsive disorder, such as being fixated on eating “pure” foods, and avoiding contamination with “impure” foods. The heightened awareness of such behaviours are linked to the “huge focus on healthy diet and lifestyle,” said Ms George. Eating items that aren’t food and have no nutritional value for at least a month is the main sign that a person has pica. Sometimes triggered by a lack of nutrients, according to the US National Library of Medicine, pica sufferers have been known to eat animal faeces, glass, clay, dirt, hairballs, ice, paint and sand. The condition can be particularly dangerous when the fixation involves sharp objects or lead paint. “Most people will be familiar with Anorexia Nervosa and Bulimia Nervosa, but there are many others. For example Orthorexia, which is a fixation on eating food that you feel is healthy and pure. It may begin as a healthy diet but becomes rigorous and obsessive. Another example is Pica, which is when you eat things you shouldn’t, like chalk, stones or cigarette butts. The symptoms of these two examples differ greatly, but they both come back to the unhealthy relationship with food, and can have serious, even fatal, consequences on your health,” said Ms Charpentier. Responding to negative emotions by consuming large amounts of food regardless of whether a person is hungry is what sets emotional eating apart from other disorders. People with the condition use the behaviour as a coping mechanism, but are then plagued by feelings of guilt and shame. Foods high in fat and sugar are often sought, and overtime, the condition can lead to weight gain. While physical hunger comes on gradually, emotional hunger hits suddenly and needs to be satisfied immediately, according the Beat. Eating until a person is full does not stop their urge to continue. Previous PostPrevious Can obesity be viewed as an eating disorder in the same way as anorexia?